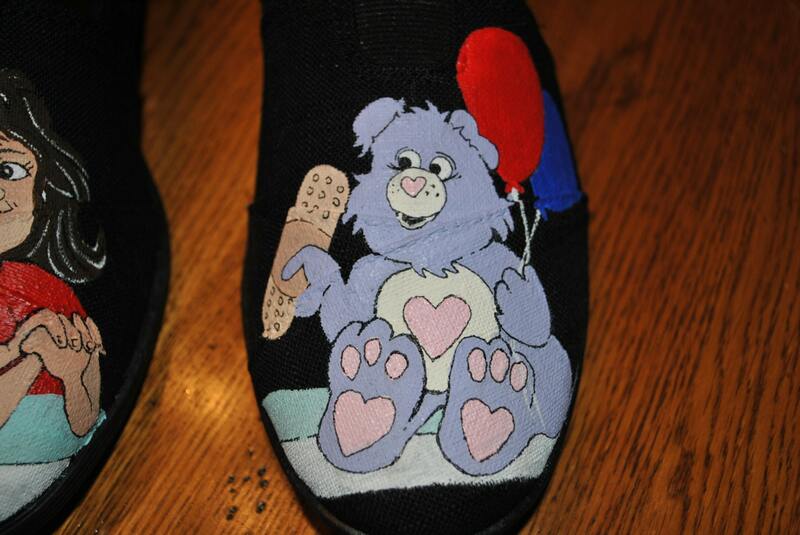 This is an Example of a custom shoe I did for a friend she wanted to give her CNA friend nickname carebear a gift - sold. 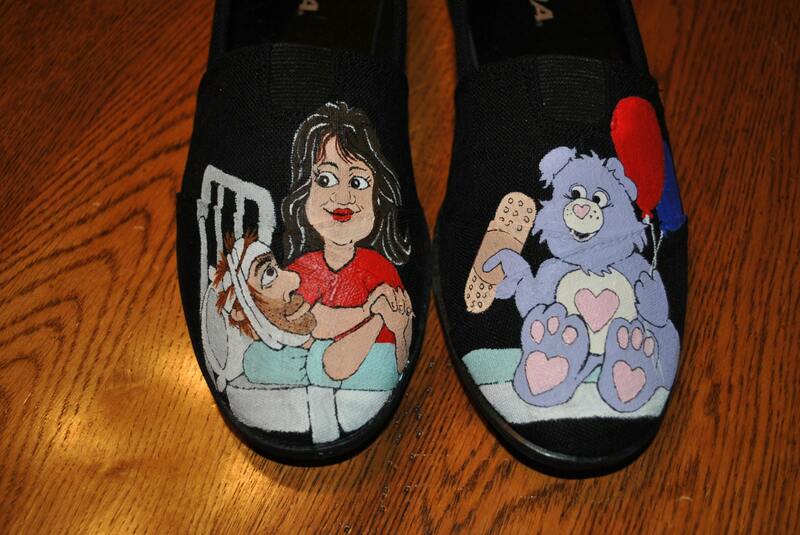 She gave me simple instructions she wanted the cna to be holding hands with a patient and a carebear on the other shoe since that was her nickname. 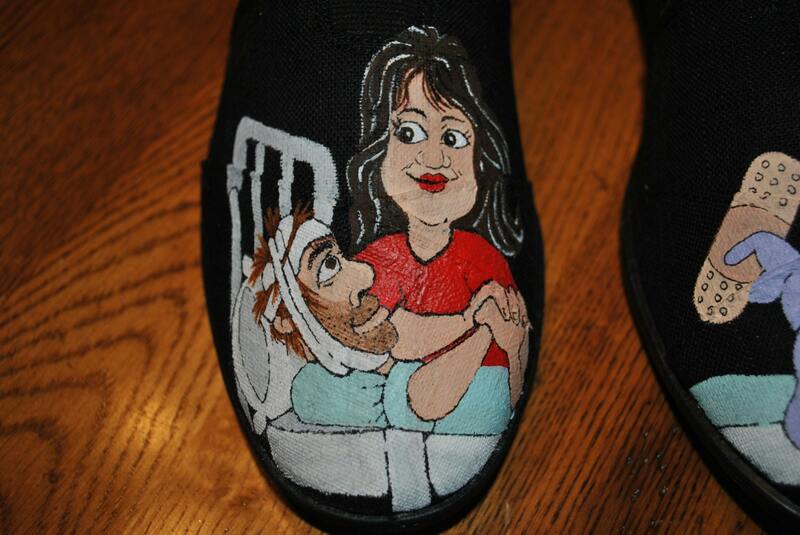 My shoes as you can see are pretty cartoonish but I tried my best to make the cna look like her picture that was provided. 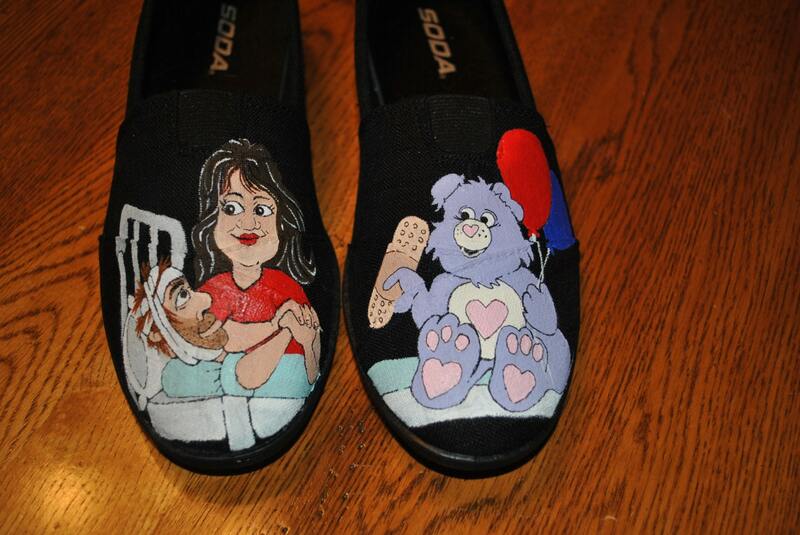 I hope she is happy with it. I really enjoy doing things like this. 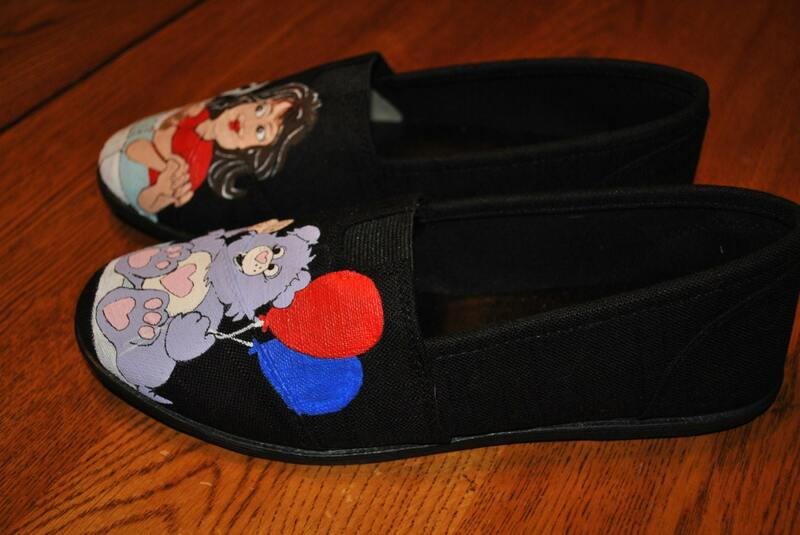 I f you have a special friend you would like to make a meaningful shoes for her or him just email me and we can talk.